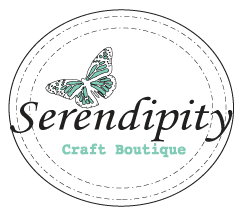 I have some big crafty news to share! For the next 4 months, I will be posting projects with Fresh Squeezed Stamps on Mondays. That means, I will have a Fresh Squeezed card to share tomorrow! 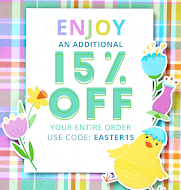 Hope you will stop by to check it out. (see here) before July 7! Dear friends! There are times that I think that I just can't thank you enough.... In the last few weeks of my Gallery Idol rounds, you have proven to me that you are truly awesome blog followers and friends! In order to show you my token of thanks, I had compiled two mystery blog candy giveaways, please leave me a comment in this post. You can sign up in Bloglovin to continue to follow my blog by simply clicking on the top right side bar. As you may know, Google Reader is going to be gone on July 1st! I had imported all the blogs that I follow through Bloglovin and love it! That way, you will not miss seeing what I have to share in this blog! My family rocks! Throughout the competition, they gave me their feedback and support... and ate lots of fast food! (LOL). Dr. John was so sweet! He went to Michael's and bought a frame (with a coupon) and arranged, framed all my entries for the Gallery Idol. He made a label with the label maker, too! 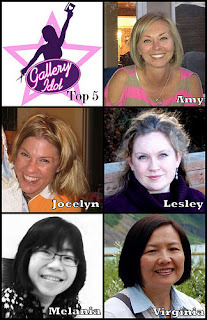 Now if you had commented in my blog, Flicker, gallery Idol entry, liked my Facebook status, voted for me for Gallery Idol, please enter one comment in this post by July 7, Midnight Eastern Time! Disclaimer: I never hinted/announced the giveaway to anyone during the Gallery Idol voting! One comment per person. 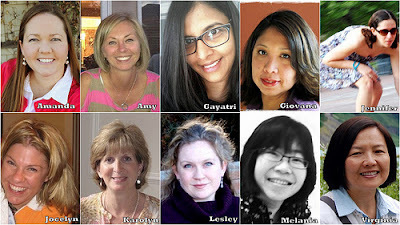 YOU are eligible to win a mystery blog candy which is valued at least $30 US! Thank you from the bottom of my heart! 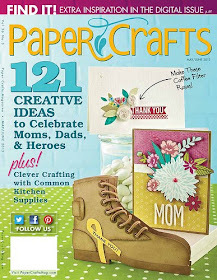 I will be sharing some crafty news in my next post. Ciao! 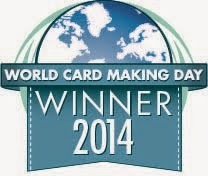 A Published Card and...THANK YOU!! Are you enjoying the summer yet? The weather here in my part of world has been gorgeous! I almost feel guilty to stay indoor all day. Lately I did try to get back to some running in my neighborhood. It's the best time of the year to enjoy the great outdoors! Hope I can keep that up. 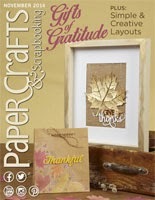 Today I am sharing a published card in July/Aug issue of Paper Crafts. 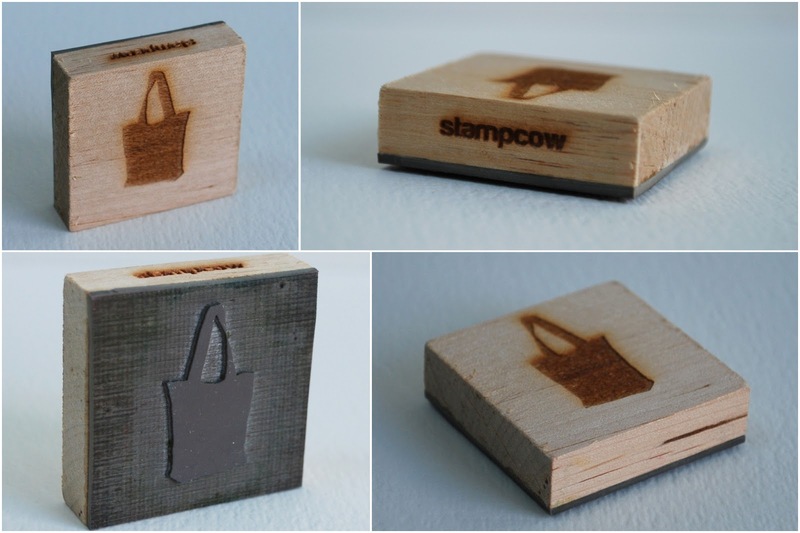 All you need is a background stamp and embossing. I did adds lots of gems though. It's the most gems ever that I put on a card actually. BUT it sure looks dreamy, huh? Lastly, I want to give you a big huge ginormous thank-you for the past few weeks in following my adventure in Gallery Idol. Never in my dream that I would made this far (Top 5!!!!! )...Your encouragement, votes and support in your comments, e-mails and Facebook touched me so.very. deeply. This truly is the highlight of my stamping life. SRM post--My Last DT Post! This purse box is so beautifully constructed. It's easy to assemble and to mass produce. ANY decorations will look GOOD! I incorporated 4 SRM products for this project. I added an embossed card stock and a stamped butterfly and that's it! 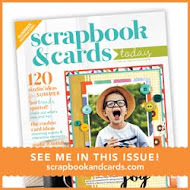 I just want to thank the owner of SRM Press Susan McShirley for allowing me to play with their awesome products. 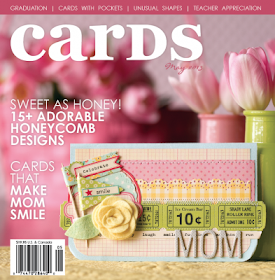 They have certainly enriched my card-making/crafting experience! This is definitely not a good bye as I still have tons of SRM products and I will continue to use them! The comment feature in this post has been turned off. Please leave me your comments over SRM blog. 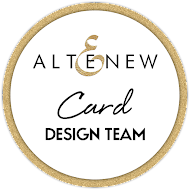 I also highly recommend you to check out what the design team have to share with you! Hello! Just a quick post about my owl card for the Gallery Idol. You see, I did struggle with the fun and cute category. I realized that I am lack of fun and cute type of stamps (note to myself : stock up!!). The best thing that comes close to fun and cute is this set called owl are you from Hero Arts. This was my 2nd try! With this one, they gave me the "thumbs up"! 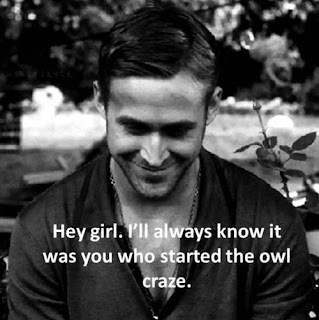 Hope this Ryan pic makes you smile. I love Ryan to be my cheerleader! Please take a moment to vote (#5) if you have not done so. Hello friends! As promised in my previous post, I am sharing a few techniques about two of my Gallery Idol cards. Firstly, it's about this Shabby and Vintage card. As you can see, there are shades of pink, dark pink and tiny bit of red in the Painted Flower. How do you achieve these shades of colors? Layered Stamping! I avoided the layers by stamping the image with layers of shades and colors. That way, the image shows more depth and interest without being bulky. The following photos will help you understand how I did it. I don't have a fancy Stamp-a-ma-jig so this is my cheap primitive way of doing it. I used my son's old toy skyscraper block and created a T shape corner with duct tapes (LOL)! It does work! 1. tape down the paper and keep it secure. It's hard to see the subtle wood-grain image on the frame. I used one of my favorite techniques to achieve this effect-- stamp-kissing! 1. Use a Sticky note ( mine are free Tylenol sticky note) to mask the area. Preparation is the key for masking! 2. I didn't like how I stamped the hearts...so I decided to cut it off! It turns out to be a great idea! I made a cut with an Exacto knife and cut around the rectangle. Works for me! Gallery Idol ( Final Round)! For the theme of round 5! 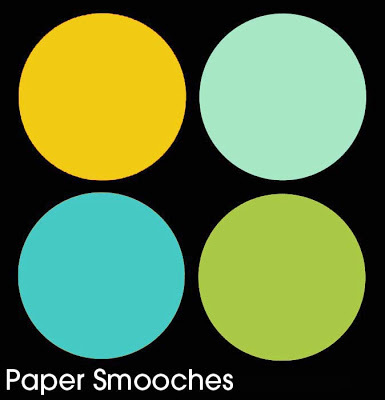 We five contestants were to ask to make four color-coordinated cards in four different styles! I actually love this challenge as I dread interactive cards! 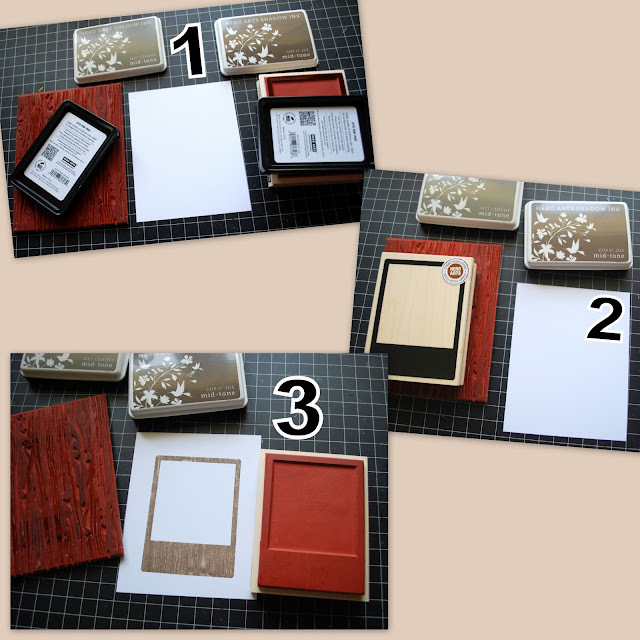 I chose white, light craft and coral for my card stock. I added brown, pink and green for inks. 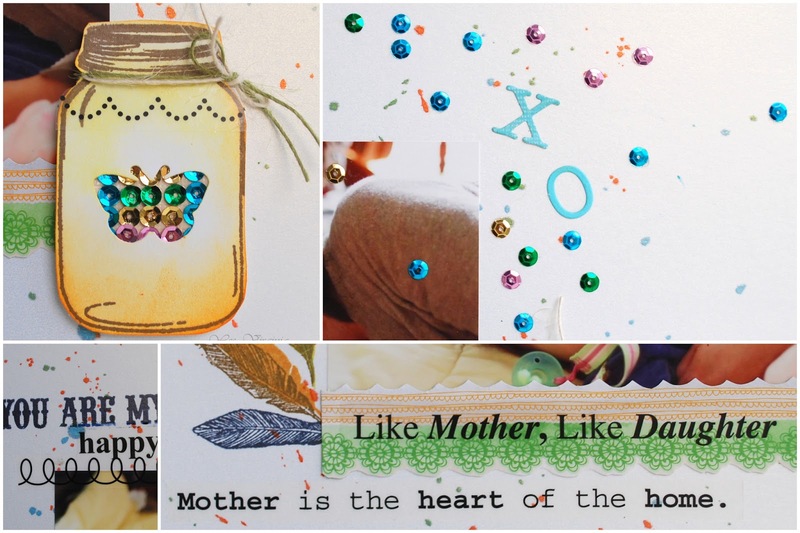 I had so much fun making 4 totally different styles with the same card stock and color palate! I cut out the images and make a 3-D frame. For this card, I applied kissing and masking techniques. I will share the process in my next post. This square card measures 4 3/4" x 4 3/4". I made some ink-splatter with Mr. Huey's inks and stamped all of the design. I also added small circles for pop-up dimensions. 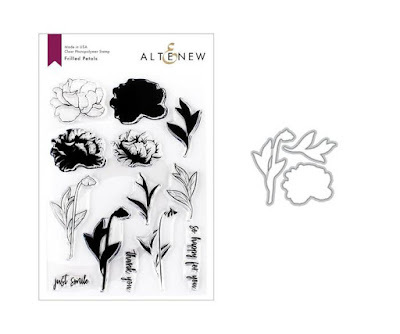 For the painted flower, I stamped in different shade of colors to achieve a layered effect. Some hand-stitching were added at the upper top left corner. 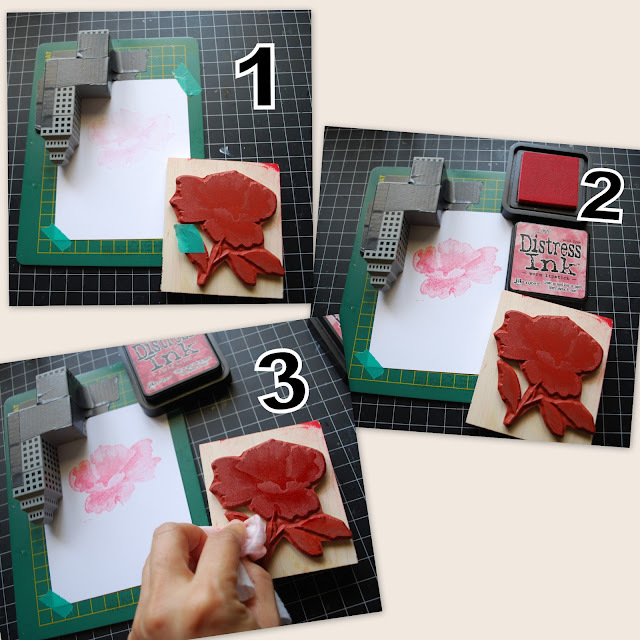 I will also share how I stamped the flower in my next post. Are you still with me? This is such a long post! Thank you for taking the time to check out my creations. It would be so awesome to earn a vote from you. If you are not familiar with the voting, read all about it here! "I just can't thank you enough!" Happy Saturday. Just sharing a layout that I made a while ago. 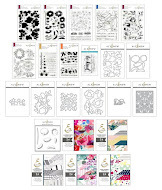 As you know already, sequins are the new rhinestone for paper crafting, I can't help but jumping on the bandwagon and made a layout with lots of sequins! I started off with some paint splatter for the background. Love the instant result! This photo shows my nephew's wife Grace and his daughter Apphia. I love how HAPPY they both were in this precious photo. I had already given them my scrapbook album last month in Philly! They now took it with them to NYC (where the young family will reside)! I finally got to see Apphia! She is absolutely darling ( just like the photo)! Then I found this left over butterfly die-cut in the stamped jar from a previous project. An idea (use sequins for the negative butterfly diecut) came to me...and the rest of the layout came easily. I applied SRM Stickers for most of the sentiement. They are so fun to work with. Lastly, a huge thank-you for the unwavering support with my Gallery Idol. I can't believe that I made it to Top 5! The process seems arduous and long at times, but here I am down to the last round! Please be sure to stop by on June 24, Monday at 2pm (Eastern Time) and check out the final round. I am having fun with my projects and I can't wait to share them with you! My Plan B--the card that didn't make it! This might be my last post about Gallery Idol....Today is the judgement day (LOL)! This was my Plan B. 6 sequins +4 silver gemstones=10 embellishments. I consulted my family (a.k.a. the non-crafters) and asked them which one they like better. Both Dr. John and Stephanie preferred Plan A. David was just as undecided as I was. For this card, I do like the fun and whimsical design. The embellishments surely make the statement. In the end, we went for Plan A. So.... Plan A, it is. I do believe in my family and trust their judgement even though they are not card-makers. They sure are full of opinions and love seeing how I go through this thrilling and at times torturous process! It's been an amazing experience to be part of the Gallery Idol. I will always cherish this. Thank you, once again, for stopping by! Today I am sharing a card I made for Paper Smooches SPARKS Challenge. It is my first time using their stamps for such a fun challenge. The color combo makes it easy for me to come up with the design. The added Glossy Accent on the paint tubes make them shiny! Love that effect! I hope you like it. Lastly, I am so touched by the wonderful support from you. Thank you for taking the time to vote for my Gallery Idol entry. The voting ends today at noon (Mountain time). Details are on top right side bar. Your outpouring support makes me feel like a winner! Thank you, my crafty friends! Hello! 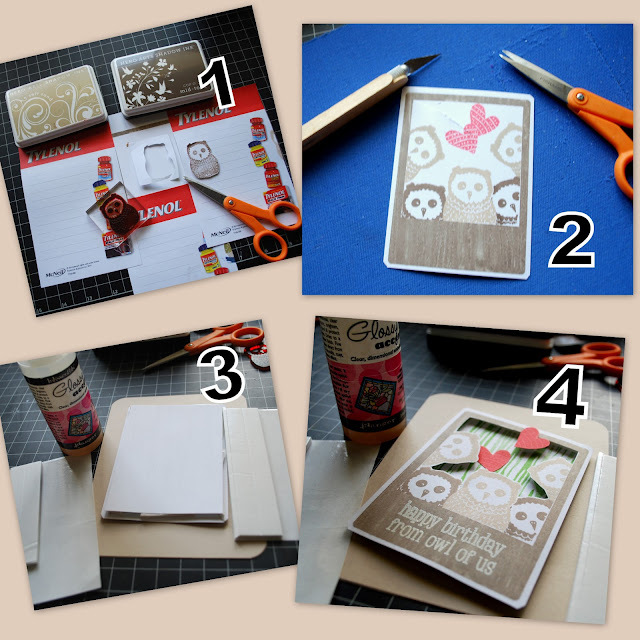 It's Day 3 over CAS-ual Friday's Stamps blog! We are having some sneak peeks at this set called Lotsa Links. I stamped the links and colored in the space...easy! It's GREAT for making masculine cards, too! Please stop by CAS-ual Friday's Stamps blog for more inspiration! 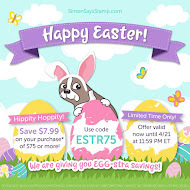 Remember to leave a comment there and you just might win yourself some new stamps!! The voting ends tomorrow noon (at Mountain Time). Thanks for stopping by! For my Gallery Idol entry, please click on the top right side bar. PLEASE vote! This is my 2nd post for the day, for Runway Inspired Challenge, please click here or scroll down. It's Day 2 over CAS-ual Friday's Stamps Blog! 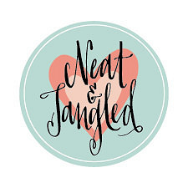 We are having some sneak peeks at this stamp set called Shenanigan. The sentiments in this set are really useful and FUN! I stamped a few of them and used banner diecuts and sequins to add some wow factors! Hope you like it! 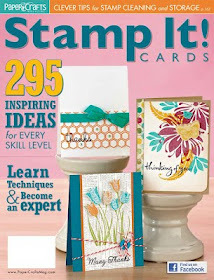 Please check out my DT mates' creative takes on this stamp set over CAS-ual Friday's Stamps Blog. The comment feature in this post has been turned off. Please leave me your feedback here if you like. Thanks for stopping by! For my Gallery Idol entry, please click on the top right side bar or check out my entry here. Please please vote! Thank you! It's Runway Inspired Challenge time! 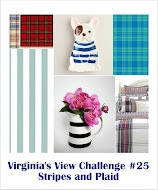 I hope this challenge will make you try something new and different. I normally will not come up with a color combo like this fashion photo. But, boy, do I love that for a challenge! It really forced me to examine this runway photo in detail! Isn't it just gorgeous? I noticed the colors, shine and textures on the fabric, so I came up with this design. My dry embossing folders have been in idle for the longest time. 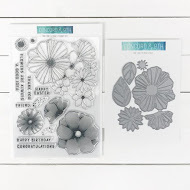 I love dry-embossed floral and diamond images on the shiny card stock! I stamped and diecut a butterfly and added it to the white strip. I love how even and polished it looks! 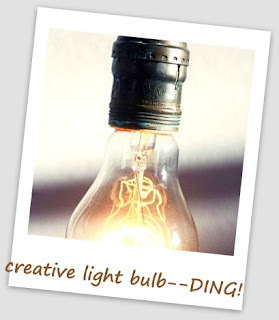 I hope you check out my DT mates inspiring projects for this challenge (see here). Hello friends! I feel so blessed and excited to be able to move on to this round. It has been an amazing experience to say the least! And now it's time to share my Gallery Idol entry with you! The challenge this round is to create a card with exactly 10 embellishmenta. You might already know what embellishments are. Here is a quick definition from Dictionary. Stamps: Shopping Bag from Stampcow (Etsy), sentiment ( I Heart Art from Paper Smooches). Last Friday, right after I found out that I got to move to the next round of Gallery Idol, I happened to receive this stamp (Shopping Bag) from Etsy ! It came all the way from Hong Kong! After thinking about designs, I put this stamp into use right away. For the 10-embellishments theme, the shopping bags make the design easy! I incorporated gems, pearls, sequins and floss for the little touches! Do you have a favorite bag? You can vote here (#7)! 1. Click on the “Registration” tab. You can log in with Facebook (that saves time). 3. Select your card, click on the “Vote” tab. You only get one vote, so choose carefully! This round is going to be a tough one. EVERY. vote. counts. If you like to see me move to the next /last round, I would love to have your vote! Thank you, once again, for your AWESOME support! Hello! 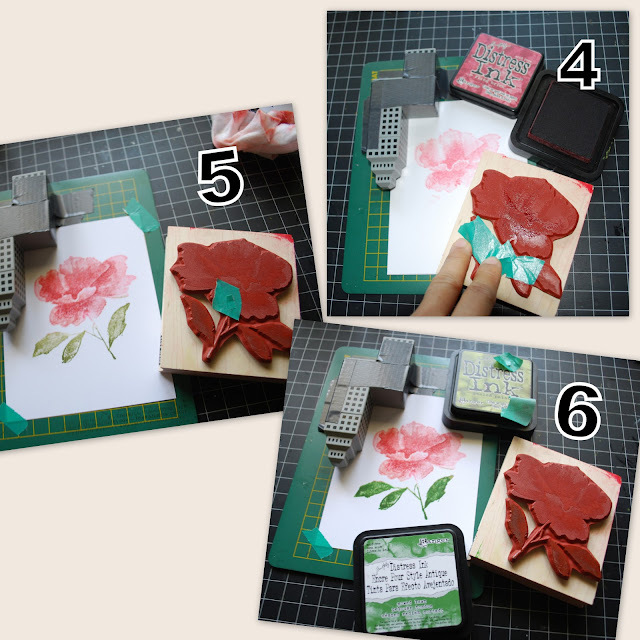 Today I am sharing my projects with you over CAS-ual Fridays Stamps! This new set called "Wonderful Words" are versatile and lovely to have! I chose to decorate a gift bag, that way you can see how fabulous the images are. Ta-da! Aren't they lovely? I did some paper-piecing with American Crafts paper pad. The sentiment are certainly beautiful! 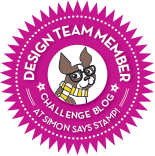 Please visit CAS-ual Friday's Stamp Blog for the full reveal and do check out my DT mates inspiring projects! 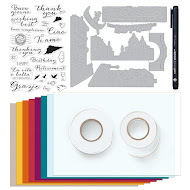 A free stamp set from each sneak peek day will be given away! Be sure to answer a question and WIN! The comment feature in this post is turned off. 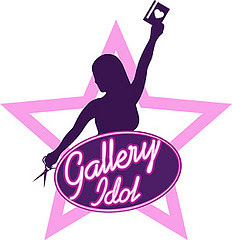 My Gallery Idol project is coming up next! Till later :) Thanks for stopping by! Woohoo! 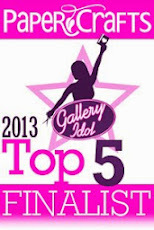 I made it to Top 10 ( details here) for Gallery Idol! I am absolutely thrilled to move to the next round! My heartfelt thanks to you for voting for me in the last round of Gallery Idol. I thought it is perfect to share a thank-you card with you today. As I was doing a happy little dance, Dr. John asked if I have 10 embellishments ( for the next theme) in my stash. I sheepishly told him that I don't have any...he suggests to have a diamond theme! Looks like a trip to the jewelry store is needed this weekend (LOL). I couldn't be where I am without your support! 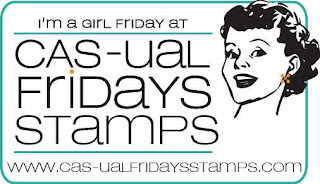 CAS-ual Fridays Stamps Blog Day! Guest Design at "Let's Get Trendy"! !